With Ann Crumb’s excitingly electric portrayal of Norma Desmond as a mesmerizing centerpiece, the Media Theatre’s production of Andrew Lloyd Webber’s “Sunset Boulevard” soars with noir lushness that remains engagingly constant while A-level performances and deep dramatic intensity show both the luster of this underrated musical, done too lavishly in its original 1993 staging to get to the core of its personal, intimate story, and Jesse Cline’s deftness as a director of the complex. Cline captures the sweep of “Sunset Boulevard” by focusing on the specific — Norma’s re-awakening, writer Joe Gillis’s lazy luxuriating in Norma’s mansion, and studio reader Betty Schaefer’s stand for purity in writing and art in filmmaking — and letting those basic elements inform the taut, sung-through script Don Black and Christopher Hampton forged from Billy Wilder’s classic, co-written 1950 screenplay. Cline has also been clever in the way he frames the “Sunset Boulevard” set by masking the Media’s iconic 1930’s movie house proscenium with Matthew Miller’s sleek, broad, elliptical arch that suggests the entrance of Paramount Pictures, a place Norma claims to have built, and by having Millie Hiibel dress everyone in black, gray, or white tones that recall Wilder’s “Sunset Boulevard.” The only color you see on Miller’s set is the red in the tasteful period furniture that decorates Norma’s parlor. The dominant black-and-white neatly sets up the projections Cline uses to fill or comment on a setting. The director’s penchant for incorporating slides or film into a production is well-known, and Cline has never used such material to better effect. Cline’s production is about as total in concept as you get. He never veers from his monochromatic pallette or from a strict sense of keeping his characters, even Norma, to human scale even if some are written to go over the top. One of the many glories of Ann Crumb’s beyond stellar performance is how believably real she keeps Norma. Crumb’s diva is not a museum piece or waxwork. She may live in a past that was kinder to her and have eccentricities, such as keeping a chimp she regards as her child, but Crumb’s Norma can relax and have a casual conversation. She can use charm to get what she wants, move with a dancer’s grace, and try to entice Joe in ways that are sincere and coquettishly flirtatious, as opposed to Gorgon-like or unbecoming of her age. If Cline’s production is total, Crumb’s Norma Desmond is the non plus ultra, one of the finest and most immediately exhilarating performances you will ever see, a work of art that conveys all Norma is while showing her as a woman whose time may not necessarily have passed, who is capable of comeback, or as Norma calls it in a line Crumb delivers with particular wit, a “return,” and whose desires seem legitimate, as opposed to delusional. Yes, there’s plenty of delusion. The audience sees it. Joe and Max, Norma’s loyal and protective butler, see it. Crumb’s Norma transcends delusion. She makes you believe that if anyone can affect a “return,” she can. She hypnotizes you into believing she can accomplish her dream. Crumb’s Norma is no obvious has-been whose talents have faded and whose life force is gone. She is a woman who needs practical guidance she may not accept. Of course, she’s neurotic and unrealistic, but in the way many a star or artist is, especially a diva who has tasted adulation and wielded some clout. Crumb’s Norma lets you see more than traces of a star. She shows you Norma has the goods to be forever great. What Norma lacks is the humility to let someone show her how to regain some status. Even when she gets to reunite with Cecil B. DeMille, she does it with the misapprehension that he is interested in a script she submitted. Misapprehension, not delusion. The way Crumb embodies Norma, you have the idea that, perhaps, if the erstwhile Hollywood queen had the chance to speak rationally of a “return,” De Mille might listen. Norma’s false expectation, her mistake about the purpose of a telephone call from Paramount, keeps any conversation or reunion from going in a constructive direction. She isn’t even thinking of how to begin a useful conversation, let alone ready to do it. Crumb endows Norma with possibilities. Wilder’s “Sunset Boulevard” is well-known enough for most people to be aware that Norma’s hopes are dashed, but Crumb makes those hopes seem more attainable. She sows of the seeds of Norma’s darker, more depressive side, but is only when desperation strikes that the line is crossed into madness. Crumb’s progression into full delusion is measured, like a time-lapse capsule, so some of Norma’s optimism seems warranted, and her fall from what is always a tenuous brand of stability becomes more dramatic. No matter what you know about literary plots in general or “Sunset Boulevard” specifically, Crumb leaves room, against all logic, that Norma may succeed, and that makes her decline more touching and closer to tragic. If Jesse Cline’s vision of “Sunset Boulevard” has no colors, Ann Crumb’s performance is a completely articulated rainbow, vivid and shaded, with primary hues and penumbrae that turn Norma into a remarkable woman, a virtuoso of life, just as Ann Crumb is a virtuoso who acts with esprit that can win your heart and intensity that can break it. Musically, Crumb is a wonder. Given Norma’s arias, Crumb emotionally expresses all Norma sings about in “With One Look” and all Norma is experiencing psychically in “As If We Never Said Goodbye.” Neither a note nor a mood is lost. If anything, Crumb enhances Don Black’s lyrics and makes them immediate, that word again, and compelling. “Immediate” is the right word to denote Crumb’s performance because the actress allows no barrier between Norma Desmond and the live audience “out there in the dark.” She is so alive, in strength and vulnerability, and so evocative musically, her Norma pervades the very atmosphere and keeps you transfixed to the stage she inhabits and transported to the world she creates. Crumb brings so much to the stage. She is a consummate actress. You expect Norma Desmond to be imperious and difficult. Crumb plays her as such, but her actress’s greatness shows when Crumb is playful or light as an ingénue playing Norma. Watching her laugh when Norma is happy, or tease Joe in a knowing, flirtatious way adds variety and character to Norma. Seeing the freedom with which she performs Salome’s “Dance of the Seven Veils” is elating. Crumb is never self-conscious or overly nuanced. Norma does her dance because it seems organically right. She dances from joy and impulse that shows the talent she retains and her ability to use her eyes and still-limber body to entertain and enchant. The dance is done like an impromptu party bit, an inspiration that just occurs to you to act on at that given moment. Again, the word that comes to mind is “immediate.” Crumb doesn’t think about how to be Norma. She is Norma. There, present, and full of all the gifts that made her a great star in her time. I wish Wilder and his co-writers or Black and Hampton had put in a line about why Norma didn’t advance to talkies, as Norma Shearer, Irene Dunne, Joan Crawford, Jeanne Eagels, and others did. Neither Gloria Swanson nor any actress I’ve seen play Norma in the musical — well, maybe Petula Clark — gave Norma a voice or a defect that would make her talent incompatible with sound pictures. No one says she wasn’t malleable enough to adapt to the less histrionic demands of talking pictures. Why doesn’t Norma grow with the industry she was so instrumental in creating? Even more than Patti LuPone, seen in London, or Glenn Close, Elaine Paige, and Betty Buckley, seen on Broadway, Crumb’s Norma makes that a mystery. Her Norma is such a natural and engaging entertainer. Crumb’s versatility and range are amazing. She shows Norma to be a youngish 50 with as much life ahead of her as behind her. She can move from an ecstatic and effervescent Norma to a shattered and suicidal Norma with the assurance and agility of an athlete. Repeating myself again, Ann Crumb’s Norma Desmond is a work of art, pure and simple. You cheat yourself out of a great experience if you don’t see it. And Crumb’s performance is not the only one that qualifies as sterling. Her co-star, Sean Thompson, is a marvelous, multi-faceted Joe. Elisa Matthews, she who should have a part in every musical being done anywhere, is committed and practical as Betty, a reader at Paramount who believes in the highest potential of cinema and is intent on persuading Joe to quit being a gigolo and return to his talent. Nicholas Saverine is the picture of devotion and dignity as Max. Patrick Ludt is a jaunty yet more determined contrast to Joe as Artie, Betty’s fiancé, on location with a picture in Tennessee. Kelly Briggs is a businesslike DeMille who, nonetheless, touches your heart when he talks about the young Norma. J.P. Dunphy makes the most out of two small roles, a studio hack and a tailor. Crumb’s genius is the tip of the iceberg because it teams with Jesse Cline’s concept and the wonderful band, led by Scott Anthony, in bringing Lloyd Webber’s musical to vibrant life. Dann Dunn’s choreography, whether subtle as in a tango that escalates in romance as Norma and Joe dance, lively as in a 50s number at a studio party, or evocative, as in Norma’s “Dance of the Seven Veils,” Dunn finds the right touch and the right soupçon of wit to make the moment a delight. Sean Thompson is the perfect post-war anti-hero to Crumb’s romantically rococo Norma. As if living up to his name, Thompson keeps Joe a regular guy. Even when he succumbs to Norma’s charms as much as he wallows in her purse, Thompson’s Joe is sincere. He really is attracted to Norma and moved by her for a time. Though Joe can be cynical and candid about his situation as a permanent guest at 10086 Sunset Boulevard, Thompson gives him the leeway to actually like and be romantically inclined towards Norma. This adds texture to the musical. Joe’s vulnerability to Norma makes it all the dramatic when he snaps to and focuses his basically realistic head on what is actually happening and what he really wants from life. The easy normality Thompson gives Joe makes the writer, who wanders into Norma’s driveway to dodge repo men looking to claim his in-arrears car, more interesting and more likeable as a character. Thompson is a powerful singer, a smooth dancer, and an adroit actor. You can see how Betty works on both his ego and his conscience when she challenges to return to his own work and leave Norma’s lucrative but stultifying screenplay aside. You can also see how Norma triggers his emotion and how Joe, who originally sees Norma as a meal ticket, wants honestly to hone her screenplay and secure her comeback. Thompson exposes the battle Joe has between being the hardbitten, cynical writer of stereotype, the kind of guy who wants to use raw truth and emotion to change the world through literature, and a man who understands what both Norma and Betty need and desires, from a good, congenial place within him to help both get what they want. Like Ann Crumb, Elisa Matthews acts as beautifully as she sings. I could see a season of Crumb and Matthews every year and not get tired of them. They are that good. Matthews is a no-nonsense Betty. She is not in Hollywood to be a starlet or to find the next gimmick — beach pictures, for instance — that might play magically at the box office. Betty stands for the artistic integrity of writing and film, and Matthews conveys her intellectual commitment to that. Betty is a worker. She longs to find the script that will illustrate the great power of cinema to enlighten and absorb as well as entertain. She is serious about her own work and serious about Joe’s. She sees Joe as the superior talent but one who needs someone to discipline him as keep him on course as a writer. The amenities at Norma’s, she realizes, keep Joe from writing and spoil him into a lazy, non-productive position. The great part about Matthews’s performance is she allows Betty to lighten up at parties or in a scene in which she and Joe, both cognizant of their love for and relationships with Artie, turn business to flagrance. Matthews has a beautiful and expressive voice that makes you wish Betty had more musical numbers. Nicholas Saverine is a Max who preserves the decorum of his office, major domo to Madame Desmond, and does so with the selfless training you see and hear about on “Downton Abbey” and other shows that depict service staff. Saverine never lightens Max’s starchy presence, but he is deft at finding a tone and an occasion when he can confide information to Joe or others. Like the rest of the cast, Saverine sings gorgeously, his rich bass-baritone providing gravitas for some numbers, his solo, “The Greatest Star of All” being haunting. “Sunset Boulevard” is one of the most underrated of recent musicals, recency in this case being 20 years. From the moment the overture begins, you hear the drama in the music and know that Andrew Lloyd Webber’s score is going to fit the time and tone of the 1920s and 1950s and not devolve into some rock rubbish. Even the snappiest song takes it cue from big band and jazz beats and not from the soon-to-emerge rock and roll. Lloyd Webber opts for drama, and he achieves it. His scores makes you feel the palm trees on Sunset sway in the breeze, a sensation heightened and reinforced by Cline’s visual projections. Norma’s songs are bold and expressive, so revealing of all the diva is feeling so theatrical as to give the diva playing Norma a chance to cast a star’s spell over the house. Ann Crumb certainly does. Lyrics by Don Black and Christopher Hampton are more poetic and imagistic than commonly heard in contemporary musicals. Their literacy and artistry is welcome. “Sunset Boulevard” also has a strong story that has become iconic since first presented in Wilder’s 1950 movie, written with Charles Brackett and D.M. Marshman. Producing the musical in a small theater matters. 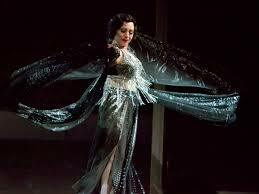 When “Sunset Boulevard” opened in London in 1993, I thought is opulence outweighed its merit. Everything seemed too big. Patti LuPone delivered with a marvelous Norma who tore the house asunder with “With One Look.” Others in the cast brought Wilder’s story to life, but the huge gold-toned set and other trappings got in the way. “Sunset Boulevard” seemed confined to its stage, and except for LuPone’s effective belting, did not reach into the house. The Broadway production, with Glenn Close, did not improve on this flaw in the “Sunset” production. Close made Norma more tragic. Her staircase scene, when she intones the famous, “I’m ready for my close-up Mr. DeMille,” was breathtaking, but the show seemed too clunky and episodic. Each scene seemed to rehash the same material. Nothing appeared to move forward or change point of view. A 2009 production at London’s Comedy Theatre (now the Harold Pinter) changed my perception. All action took place on one set. The cast was minimal, and the actors were also the orchestra. Compacting the show into a small space and bringing the action closer to the house had a transforming effect. “Sunset Boulevard” was no longer a monster of a show that had musical luster but no charm and no immediate emotional charge. It was a great chamber musical. That the music outsized the hall made no difference. It just added to the luster of the production. All of that emotion, musical and dramatic, coming from actors who seemed accessible and direct restored the feeling you get from watching Wilder’s movie. The Media, though it has a large barn of an auditorium also accomplishes that sense of smallness that makes “Sunset Boulevard” resonate all the more freely and artistically. Jesse Cline and company have done a wonderful job on the show. Scott Anthony and his orchestra set the mood even before Joe takes off on his car chase, film footage of which is shown on a center screen and two side monitors, or Norma appears. Anthony’s ensemble features the music director at the keyboard, Christopher Ertelt on a second keyboard, Joe Fallon on trumpet, Lee Morrison on drums, Shane Aaserud on bass, Barbara Bendett on reeds, Anthony Triplett on trombone, and the excellent Set Rodriguez on violin. “Sunset Boulevard” runs through Sunday, May 18 at the Media Theatre, 104 E. State Street, in Media, Pa. Showtimes are 7:30 p.m. Thursday (and Wednesday, April 23), 8 p.m. Friday and Saturday, 2 p.m. Thursday and Saturday, and 3 p.m. Sunday. Tickets are $42 with discounts for seniors and children and can be obtained by calling 610-891-0100 or going online to http://www.mediatheatre.org. posts. Anyway I will be subscribing for your feeds or even I success you access persistently fast. 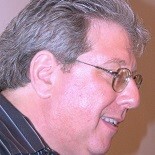 This entry was posted on April 22, 2014 by nzoren in Theater Reviews and tagged Andrew Lloyd Webber, Ann Crumb, Billy Wilder, Christopher Hampton, Dann Dunn, Don Black, Elisa Matthews, Jesse Cline, JP Dunphy, Media Theatre, musical, Nicholas Saverine, Patrick Ludt, Sean Thompson, Sunset Boulevard.